I actually thought about posting more gray, gloomy images in keeping with everyone’s least favorite month. Then I came across this shot. 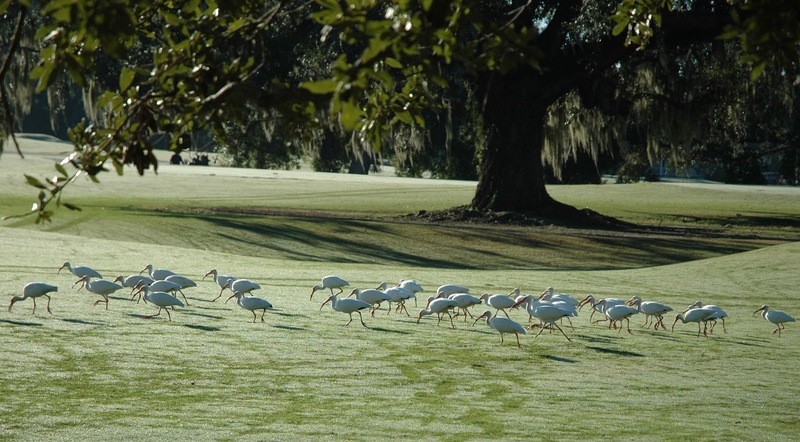 A bright, October morning in Audubon Park…a gem of real estate in uptown New Orleans. 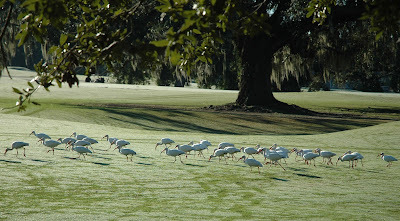 A flock of ibises (yes, I looked it up) treads across the dewy fairway on the tidy little golf course in the middle of the park. Apart from solid, rule-of-thirds composition, the picture may not highlight other photographic qualities…but I like it. We don’t see birds like this around here. And another thing. I like this picture because it’s one of the few that has a clever title…provided you remember that radio program. Like many famous artists, I am more likely to name a series “Urban Abstracts # 1 - 20”. Nothing memorable there. A title that further connects you to the image is a wonderful thing. I may be all wet on this but, in my limited participation in photo competitions, I get the impression a clever title helps to make a good impression.